De Faoite ? anglicised White and Whyte is the hibernicised name of Anglo-Norman settlers, who arrived in Ireland during the late 12th and early 13th centuries. The adjective 'white' is self-explanatory; it may refer to complexion or hair colour, 'fair'. Bán ? anglicised Bane, Bawn, Baynes and White. White is a translation of Irish 'bán'; this is an epithet type surname, one of a number of interesting surnames that were adopted by a process of osmosis, as it were, replacing the original surname. The name appears in 17th century records in counties Cork, Tipperary, Limerick and Wexford, and possibly existed also elsewhere in Ireland. Ó Gealagáin ? anglicised Galligan and White, earlier O Galgan. The root is 'geal', which is 'bright' or 'white'. This was anciently a Sligo surname, but Woulfe says it is dispersed through the south of Ireland ('Sloinnte Gaedheal is Gall', 1923). Mac Giolla Bháin ? anglicised as (Mac) Gilvane, Kilbane,and by translation, White: 'giolla bán' would mean 'fair youth'. A sept of the Uí Fiachrach in Sligo, anciently in the modern civil parish of Dromard. Fiachra was the brother of Nial of the Nine Hostages, founder of the Uí Néill. O'Donovan, who transcribed and edited the 'Annals of the Four Masters' et. al. in the 1860s, found families named White in the above districts who belonged to this sept. MacIlvaine/MacIlwaine is also a Scottish name, of similar derivation, often found in Ulster, and also occasionally translated Whyte/White. Whites, with many other Anglo-Norman families, settled in the city of Limerick in the late 12th/13th century. Not all Co Limerick Whites would be Anglo-Norman, however; a look at the 1659 'Census', below, shows a considerable number of families called Bane together with Whyte in Connologh Barony in Co Limerick. There are still more Bane families in the 1659 'Census' in West Cork. Similarly, in that record, Bane together with White is found throughout Co Tipperary and in Co Wexford, and would appear to represent the same (native) name. White was also a 17th century importation, borne by a soldier who was given land in the baronies of Beere and Bantry, Co Cork. Sir Thomas White, temp Charles 11, settled at Bantry. These Whites were loyalists who were rewarded with titles by the British, starting with baron Richard White in 1797. Here again, though, we must note the existence of Bane/White as a numerous native Irish name in Cork, especially West Cork, in the 1659 'Census'. In relation to the Scottish settler Whites of Ulster, the name would also be an epithet type surname, with a similar history to that of the English Whites, not just a translation from MacIlvaine etc. Cork City & Liberties, 7 (families, all figures) White; Bandon, 3 Wheite; Carbery West, 25 Bane. Iffa & Offa, 13 Bane and 14 White; Eliogurty & Ikerrin, 11 Bane. City & Liberties, 12 Whyte; Connologh, 9 Bane and 16 Whyte. Shelmaleer, 7 Bane and 6 White; Shelbyrne, 9 Bane. City & Liberties, 15 White; Neithercross, 12 White; Balrothery, 17 White; Cowlock, 11 White. Dundalk, 8 White; Atherdee, 12 White; Drogheda, 5 White. Massareene, 9 White; Belfast, 8 White. Tyrone is missing from the 'Census'. Griffith's 'Primary Valuation' of Irish households in the 1850s shows most White families in counties Cork (270 + city 32), Dublin (134 + city 105), Wexford (196), Down (192) [I found no examples there in the 1659 'Census'], Tipperary (184), Antrim (171), Galway (137) [this county is missing from 1659 'Census'], Laois (129) and Limerick (109). R.E. Matheson, the Registrar General, published a 'Special Report' on surnames in 1894 and 1909, based on the 1890 birth registrations. This shows most White births for 1890 in counties Antrim, Cork. Dublin and Wexford. In that year it occupied the 50th place in the most common surnames in Ireland. Edward Higgins White (1930-1967) U.S. astronaut and test pilot. He was the first American to walk in space, on 3rd June 1965. He tragically died during a pre-launch test for the first manned Apollo Mission. Leave a message for WHITE family members. (Part 1 of 3) The White name has a long history in British Isles, but now DNA and some recorded history says their origin is from the Emerald Island. The White story [dominated by DNA tribal marker R1b-L513, Subgroup B2] can trace their origins to the Finn Valley in Donegal, Ireland from 50 BCE. Perhaps the journey begins with the Clanna Dedad; Deda, son of Sen or Deda Mac Sin. 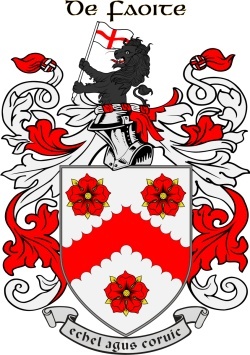 The White surname origin is from Clan Domnaill [DNA Tribe R1b-L513, Subgroup B1] and relations who remain in Ireland take the modern surname (O’)Donnelly, McDonald and Donohue in Ireland. (Part 2 of 3) According to research, the Domnaill name is also found in Brittany, France. It is a very old name which appears in the 5th century Roman inscriptions as Dumnovellaunos in Brittany meaning “Deep Valour” equivalent to Irish Domhnaill. But how could this be? Recent discoveries from DNA testing are unlocking the migration patterns of Celtic tribes as late as 800 CE to 1200 CE. The Traylor story begins in pre-history Ireland then moves to Wales where the family can be traced back to their Welsh tribe Cydifor Fawr. Many of his kin will then move to Brittany, France during the Dark Ages. Invite more WHITE family members! Click 'Invite' to connect with more members of the WHITE tribe.